A review of the Individual Assurance Company Health & Accident Insurance Company finds the even longer named Individual Assurance Company, Life, Health & Accident. Luckily, for us, the company usually goes by the name of Individual Assurance Company, or IAC. However, IAC offer employer group life insurance policies in Micronesia; it does not offer health insurance policies in the United States. If you don’t have health insurance, or need to switch policies, you’ve come to the right place. Just type your zip code into the free toolbox above and shop from a selection of health insurance rates from local insurance providers. 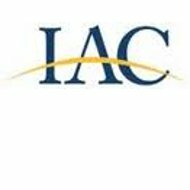 IAC was founded as Institutional Agencies in 1956, and became domiciled in Missouri in 1973. In 1983, IAC spun off Westport Life Insurance Company to handle the company’s reinsurance products. It also has a subsidiary, Horizon Services Company, which deals with software and administrative matters. Today, the company is looking at healthy growth and hoping to further expand into more regions and markets. You can also go to the company website and click on the “Contact Us” tab to fill out an online form, picking the products that interest you. The appropriate IAC representative will follow up with you after your inquiry is received. Through its Horizon-One program, IAC helps financial institutions increase their fee income by offering IAC products such as Simple Issue Term insurance policies and Debt Protection services. Horizon-One helps these clients by handling all of their sales and administrative needs. In addition to these two services, Horizon-One also offers: term and universal life insurance; mortgage life and accident & health; credit life and accident & health; home equity/credit card; advanced market services; annuities; and more debt protection programs. Because IAC is an independent insurance provider, it stresses that it isn’t tied to a single carrier with limited options and coverages. As noted above, the Individual Assurance Company also offers group life insurance to the employees of private businesses and governmental entities in the Pacific Region of Micronesia. IAC has been offering insurance in Micronesia for almost 40 years, including basic life insurance policies with options for critical care and dependent coverage. The basic insurance also includes death and dismemberment coverage. IAC markets this insurance to businesses with between 25 and 18,000 employees. Because IAC markets and sells its products and services directly to companies, it is not possible to get an individual quote from IAC by phone, through email, or on its website. However, IAC does help provide this function for its business clients as one of its support function. IAC support includes educating a business; providing it with resources; setting up the technology to run its programs; tracking its quotes, licensing requirements, and sales; and many other value-added services. A.M. Best Company, an independent credit rating organization serving the insurance industry, has rated the financial strength of the Individual Assurance Company to be a “B.” This is a borderline rating, which means that A.M. Best believes that IAC has a fair chance of meeting its financial obligations in the future. It believes that IAC has a stable outlook, and have given it an issuer credit rating of “bbb-,” which is barely adequate. What this means for you, as a potential customer, is that you may want to look at another company for your financial needs since IAC may have trouble paying off its claims in the future. The Individual Assurance Company is not accredited with the Better Business Bureau and has not been rated by them either. There have been no complaints filed with the BBB against IAC in the last three years (which is the length of time BBB keeps records for). An online search yielded no complaints or compliments about IAC either. Unless you live in Micronesia, the Individual Assurance Company won’t be able to help you with your health insurance needs. Instead, just type your zip code into the box below, and we’ll get you a selection of health insurance rates from insurance companies in your area! Your information says, “Unless you live in Micronesia, the Individual Assurance Company won’t be able to help you with your health insurance needs.” However, Individual Assurance Company, or IAC, offers Medicare Supplements in the state of Oregon, and maybe in other states as well! I would say this website has not been updated in the last year. Yes, they have Medicare Supplements in Kansas and Missouri with very, very competitive rates. They also offer in many other states. IAC sells Medicare Supplement Insurance in Wisconsin with very competitive pricing and excellent claim service. You can contact them and actually get a person on the phone that will be very helpful.